Who said a good gameplay and great graphics can make a game an instant success. The Creator of the Viral Flappy Bird game did the opposite and within days of its release, Flappy Bird became an instant success on both the Apple App store and Google Play store. Those who have played the game know how difficult and addictive the game was. If you like being challenged, this game would have definitely got you hooked on it for hours. While most people criticized the game for its ripped of art that resembled a lot from Mario and the Angry birds, even I couldn’t agree more, but the gameplay on the other hand was something new and unforgiving. Within its short lived period of fame and fortune, the free and ad supported game was downloaded more than 50 million times both on the play store and the app store. It might seem unbelievable but as the players were busy scoring high in this game, the game was in fact raking in more than $50,000 everyday from in game advertisements. That’s really an insane amount of money anyone can make from a ripped off game. Eventually after 28 days of it’s short lived journey through fame and fortune, the developer has now taken off the game from both the Play and App store. When contacted by the media for the reason to pull out the game, Nguyen, the creator of Flappy bird replied that the game was getting addictive and this was his sole reason for pulling out the ultra difficult game from the App store and the Play store. 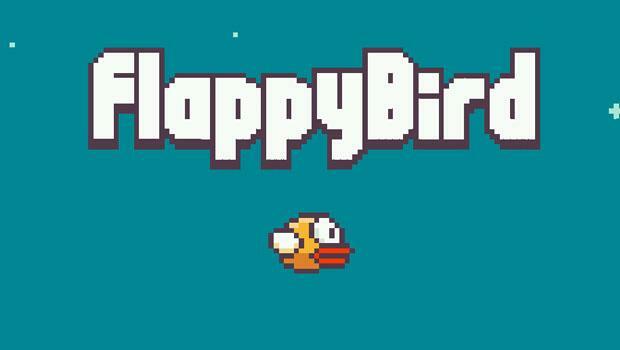 Just in case you missed what the buzz was all about, here’s an backed up Apk file for Flappy bird from the XDA forums. Install the game on your android phone and have fun beating the top scorers. Last but not the least, beware of the fake Flappy bird copies that have emerged on the Play store. Note: Before you can install the game from the Apk file, you need to enable side loading of android apps by allowing your android device to install apps from unknown sources. 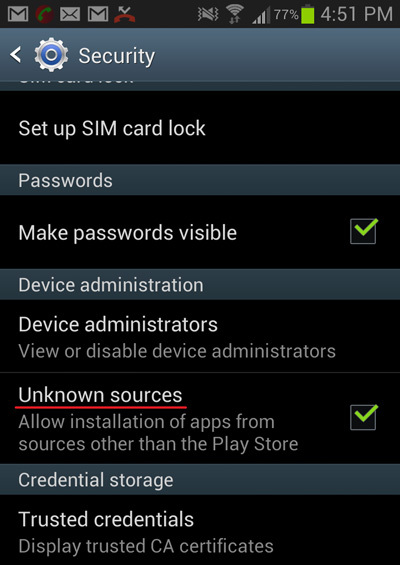 You can enable it from your phone’s security settings. Here’s a screenshot of the settings.